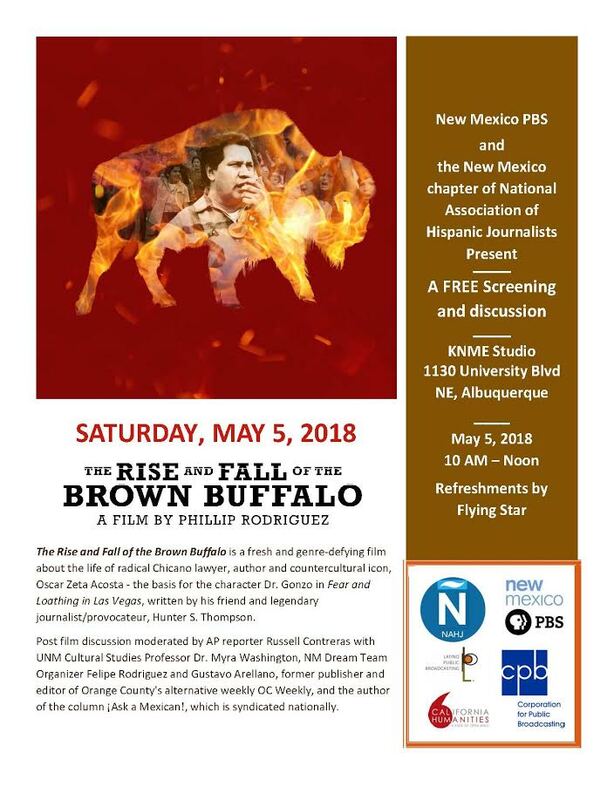 We’ve teamed up with New Mexico PBS for a FREE screening and discussion of The Rise and Fall of the Brown Buffalo, a film about radical Chicano lawyer, author and icon, Oscar Zeta Acosta. Panelists include: Professor Myra Washington, NM Dream Team organizer Felipe Rodriguez Romero and columnist Gustavo Arellano with moderation by AP reporter Russell Contreras. Join us on May 5 at 10 a.m. at the KNME Studio.